It all began in 2013 with two moms sitting at a coffee table, thinking about transforming ordinary home and kids’ room decorations into unique pieces with a personal and creative touch. The idea of A little lovely company was born. Five years later the company has more than 90 employees and provides more than 3200 retailers, agents and distributors worldwide. One of the two founders, Judith de Ruijter, talked with Luna Journal about their success and told us what else there is to come. You can find them in thousands of homes worldwide: posters with gorgeous motifs, motivational lightboxes or lovely light lamps which bring a smile to one’s face. The lovingly designed products of the Dutch firm A Little Lovely Company (ALLC) are demanded all over the world. It all started in 2013, when Judith de Ruijter and Nikki Hateley, co-writers for the same blog, found out they were living very close to each other. “One day we decided to have a cup of coffee together and a little chat. In that chat we realized we both had some business ideas that really clicked and in a period of just a few weeks, we simply decided to take a chance and start a little business with a few savings and the ideas we had”, de Ruijter says. The idea to transform ordinary home and kids’ room decorations into unique pieces turned out to be a great success. The initial ideas and designs are all made by de Ruijter and Hateley themselves. “After this, we now also have a design team and product development team who work out all details after this process”, de Ruijter tells. Although both founders are mothers of altogether 7 children, their designs are rarely influenced by their children. “We just have too many ideas!” But from time to time the special requirements of their kids lead to the development of practical gimmicks. “My youngest children like to have a light that can stay on for a little while, so they can read or play in bed. But it needs to turn off automatically, so they know when they need to go to sleep. Thus: a little timer on all lights was born”, narrates de Ruijter. In only a few years ALLC developed from two moms packing little boxes in their kitchens to a company with more than 90 employees and an annual sale of 10 million euros in 2017. Thanks to their non-cultural bounded designs ALLC is demanded all over the globe: By now their products are provided to more than 3200 resellers worldwide. “We knew: if we wanted to grow and become a worldwide delivering wholesaler, we would need to be very good at online ordering and shipping. So we invested a lot of time and money in a very good website and an online ordering system”, de Ruijter adds. Indeed, interested resellers can make an online request online which is processed within only 24 hours. In Groningen, Netherlands, ALLC also operates a brand store. It is not only a shop but also a café: Beside the products from their actual collections, customers also get coffee, tea and homemade sweets there. 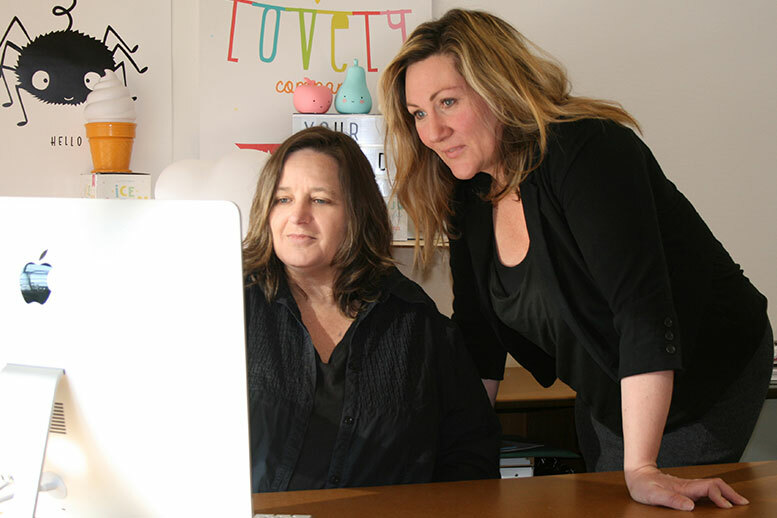 Founders Judith de Ruijter and Nikki Hateley are also open to the idea of expanding their business, they are even working out concepts for a stationary expansion. “This will probably be some sort of franchise but without the high fee for licensees that they normally need to pay when going into franchise. We see franchise differently than most brands do. A brand store is also a very nice concept for the public in the streets to get to know and discover the brand,” de Ruijter explains. In 2019 there will be a new collection especially for newborn children, called Tiny Humans. The collections consists of natural baby care products as well as cute gifts for newborns and will be, contrary to all the other products that are made in China, manufactured in the Netherlands.